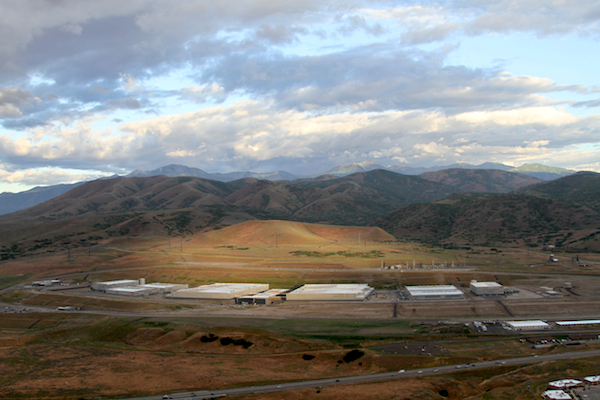 Although the main point of my airship trip over the Utah Data Center was to announce the launch of Stand Against Spying, I did have a pretty great view of the facility. Inspired by Trevor Paglen’s efforts to supply a new “visual vocabulary” to the conversation about national intelligence, I got EFF to release one of the photos I took under a completely free CC0 waiver. This is a low-res version. Click through to EFF or Wikimedia Commons to see the full high resolution version.